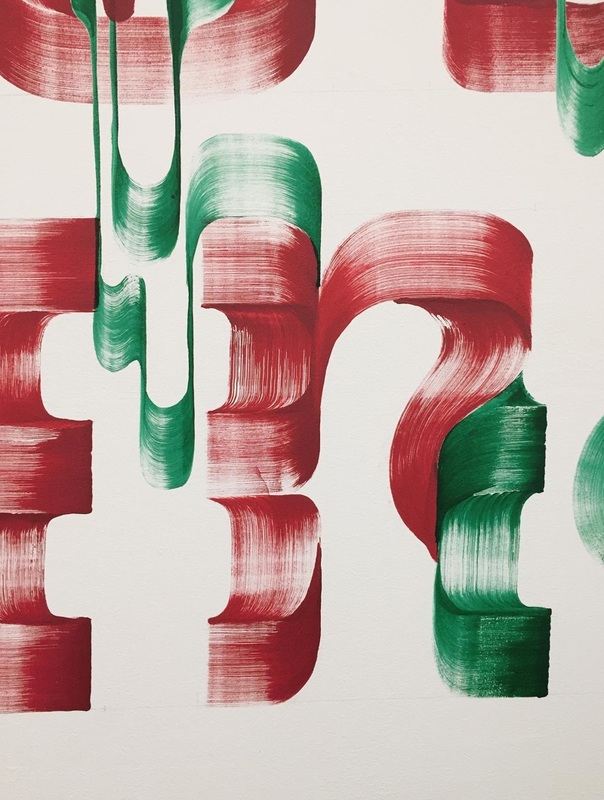 Vincent de Boer is an innovator of the very unique and recognizable “painterly” brush lettering method. 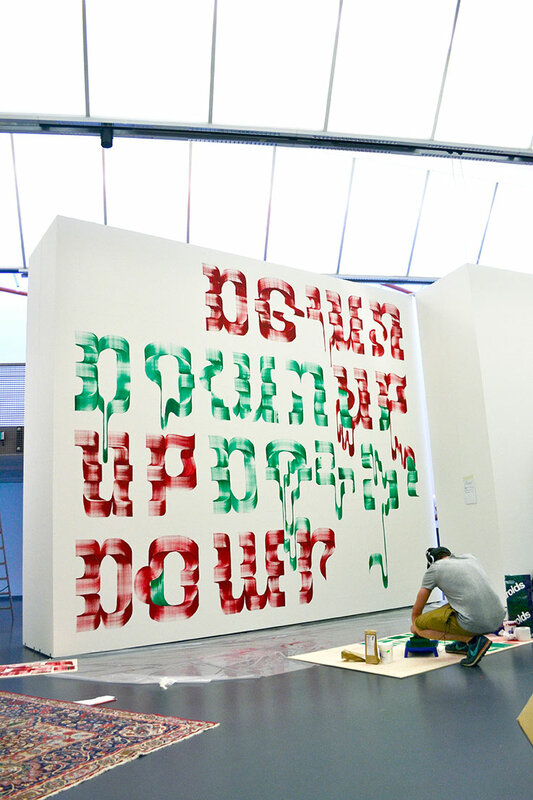 When he was asked to concept and paint a mural for the “Do it” exhibition at the Kunsthal Rotterdam, he took his style to a much larger scale. The Kunsthal is one of the leading cultural institutions in the Netherlands. “Do it” began in Paris in 1993 by curator Hans Ulrich Obrist, as an idea to showcase artwork that represents actions that can be performed and executed by people all over the world in various ways. 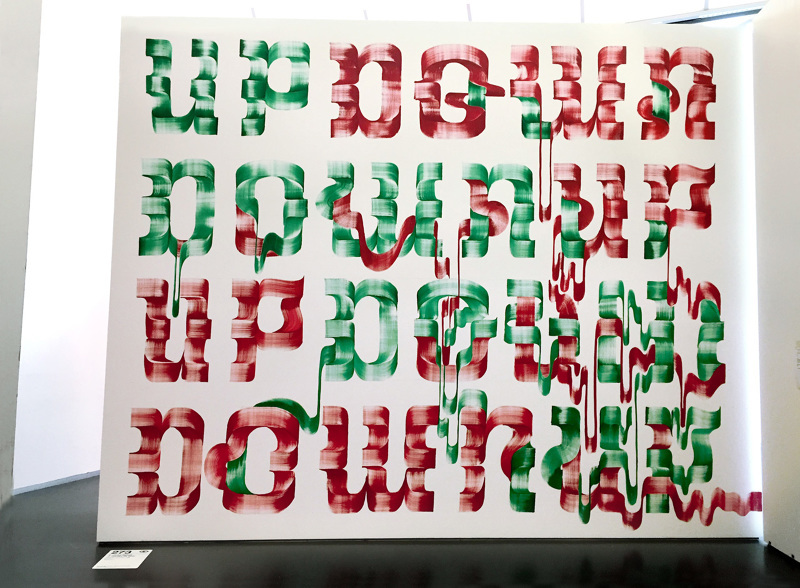 For Vincent’s piece, he told us ”I wanted the text to be hypnotizing, and make the letters confusing and mixed up.” As a creative, he craves the balance between provoking and pleasing the viewer. Look closely and notice the mural repeats the message “up, down, down, up” in his beautiful, brush lettering style. 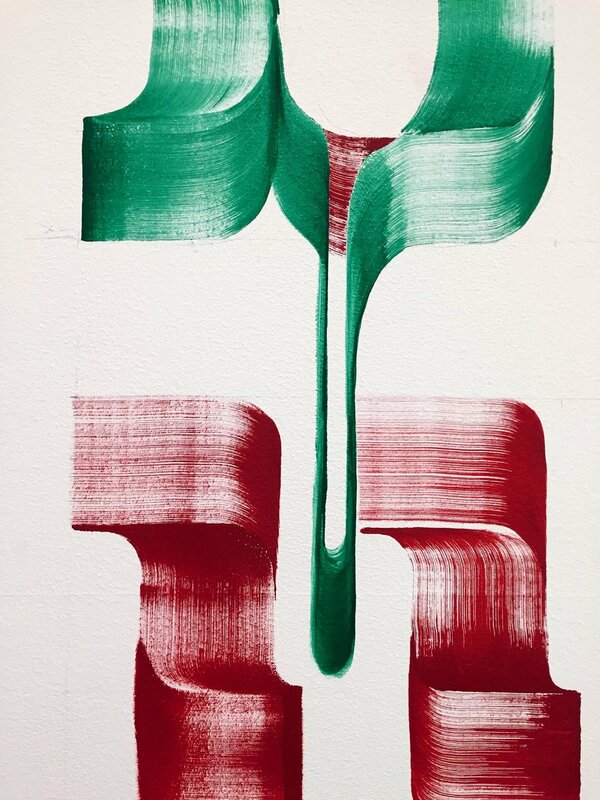 Vincent de Boer is a typographic artist and a teacher of letter making. Going from drawing cartoons to practicing painting, illustrating and drawing three-dimensional spaces, to mixing the worlds of calligraphy, graphic design and typography all together. In his work, you can see a cooperation of image and letter. He has been teaching for five years, painting for 16 years, and practicing calligraphy for the past decade. Below is a video showing a bit of the process behind his technique. Vincent was featured in Goodtype’s first book and will make another appearance in the second Goodtype Book coming in 2018. Visit Vincent at vincentdeboer.nl or on his Instagram @vincent.deboer. The many brushes of Vincent de Boer.